Gideon Levytam is a Jewish believer in Jesus (Yeshua), who has devoted his life to sharing, with his people in North America, the good news that Messiah has come. Read his story and you will discover how he was led by God, through a series of exciting circumstances, to find the One his people are still waiting for. Follow his journey of discovery from Jerusalem to Toronto, via the terror of the Six Days War, volunteering in a kibbutz, and a miracle in the Yom Kippur War. Is Messiah revealed in the Bible? Gideon said to God, "If the Bible holds the truth, then show it to me. If not, preserve me from this book." 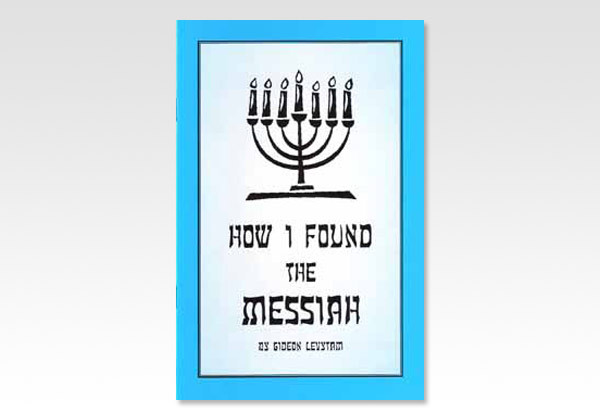 To find God's answer, read How I Found the Messiah.